Halloween is just a few days away, and I know the last thing on most peoples mind is more candy, but I could not help it. I LOVE Butterfingers, and I HATE Candy Corn. But that is because I have been eating Candy Corn wrong my whole life, and chances are, so have you! 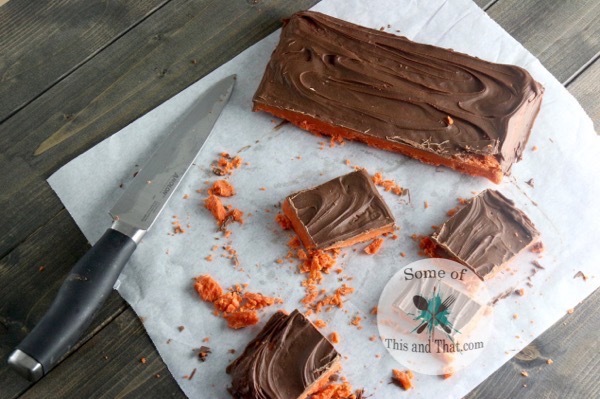 Candy Corn was not meant to be eaten as a stand alone candy, it was meant to be transformed into crispity, crunchity Homemade Butterfinger Bars! Who knew that you could turn that plastic tasting candy into something amazing! 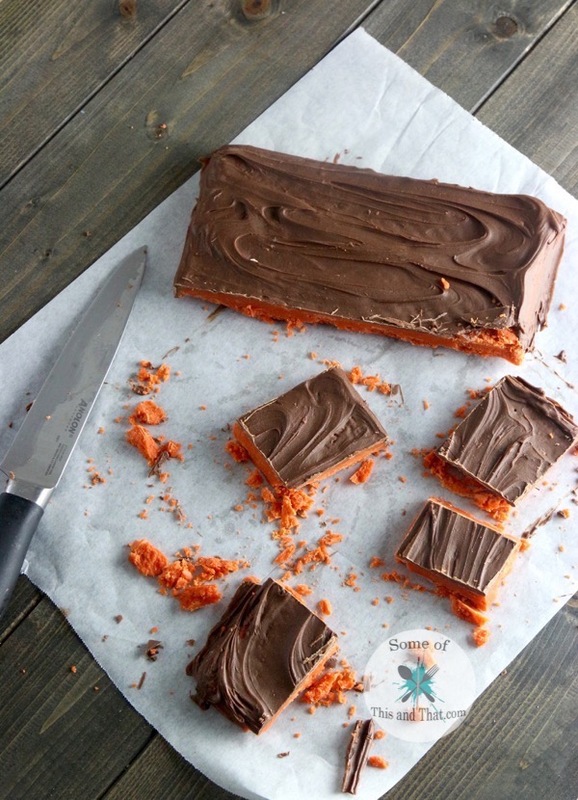 And these Homemade Butterfinger Bars are just that…. AMAZING! 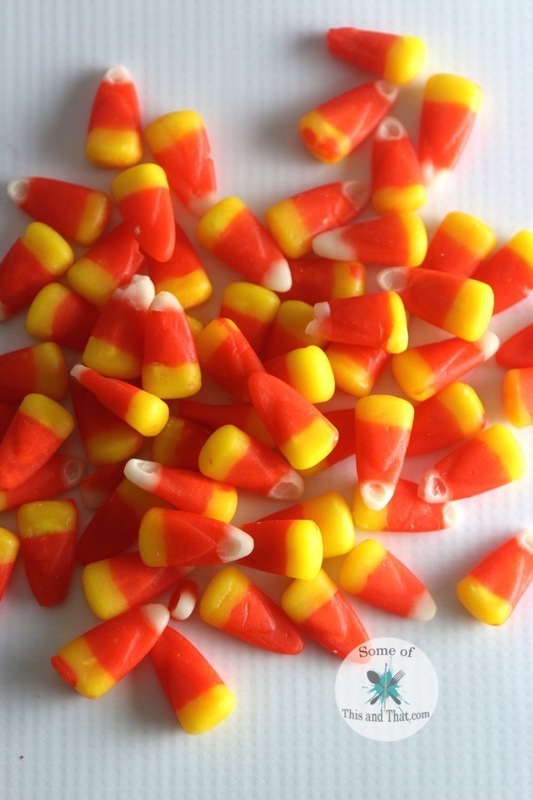 You can not even tell that there is candy corn in them! 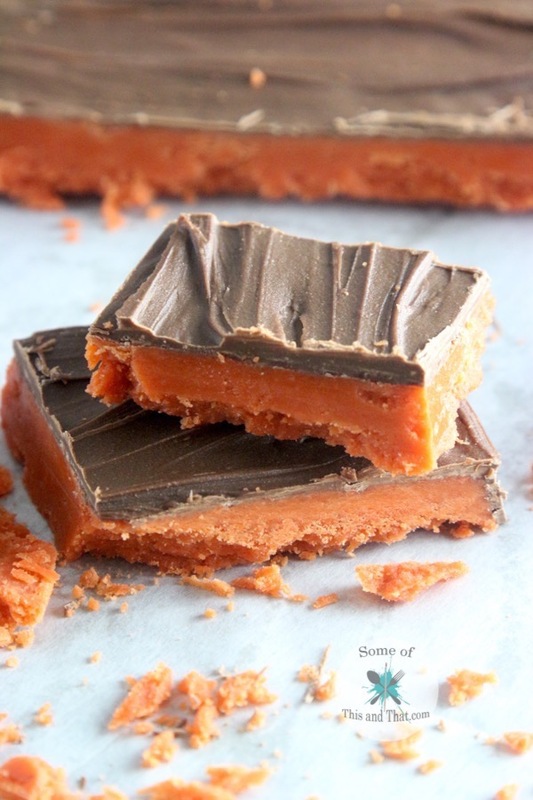 I opted to not make individual candy bars, but you can totally cut them up and dip them individually if you want. I just found this way a little less messy and quicker. Pour candy mixture into an 8x8 cake pan that has been sprayed with non stick cooking spray.